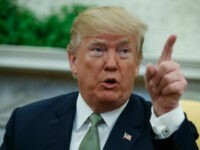 TAMPA, Florida – If Republican presidential nominee Donald Trump is really down in the state of Florida as the statewide polls seem to suggest, then records could be set for his opponent Democratic presidential nominee Hillary Clinton on Election Day. 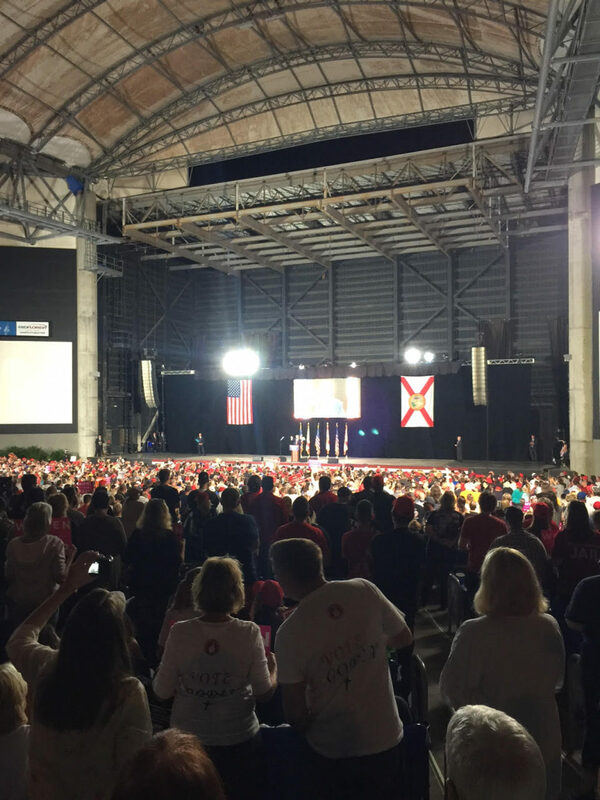 Before a crowd of at least 20,000, according to some estimates, at the MidFlorida Amphitheatre in Tampa on Monday, supporters waited in long lines of traffic coming off Interstate 4 and paid a $10 parking fee to see the GOP nominee make his third appearance in a five-stop swing through the state of Florida. After declaring Florida as his second home, Trump’s first policy target was ObamaCare, with which even former President Bill Clinton found fault. “Even Bill Clinton called Obamacare the craziest thing. And he had a rough night when he went home that night,” Trump said, possibly referring to his opponent’s reaction to her husband’s remarks. 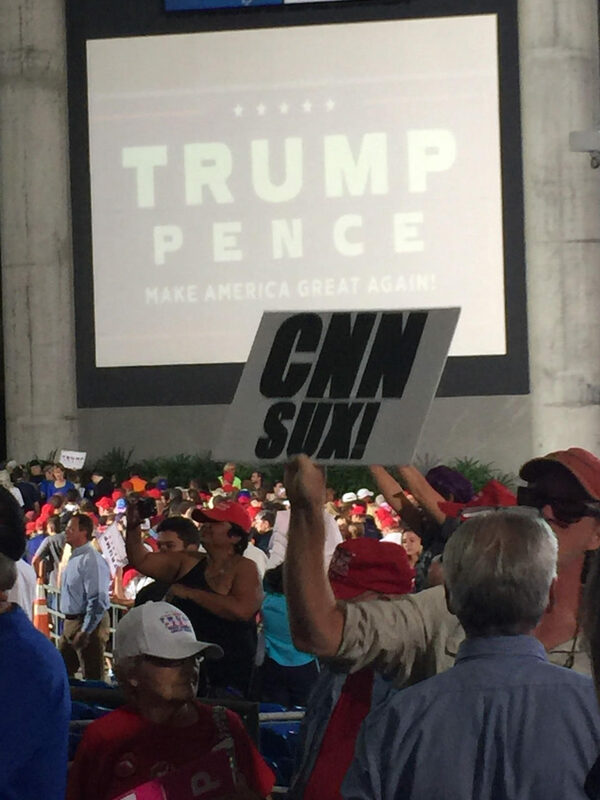 As he usually does at his campaign rallies, Trump called out the media for not giving him his due for the enormity of the crowds and for giving Clinton special favors, particularly regarding the debates. Trump also took on critics who accuse him of having ties with the Russian government. Ever since WikiLeaks has played a role in the campaign by publishing leaked emails from the Democratic National Committee and from Clinton campaign chairman John Podesta, Clinton supporters have accused the Trump campaign of working with the Russian government, whom they allege to be behind the leaked emails. However, Trump turned those claims around on Clinton before attendees by pointing out Podesta’s links to Russia and questioning why that’s not pointed out while his supposed ties are. Trump went on to call attention to a Russian uranium deal then-Secretary of State Clinton’s State Department approved after the Clinton Foundation received a $145 million donation from the shareholders of Uranium One. Other pledges Trump made to the audience included cancelling President Barack Obama’s executive orders, doubling down on his pledge that Mexico would pay for a border wall between it and the United States, and uniting the country. 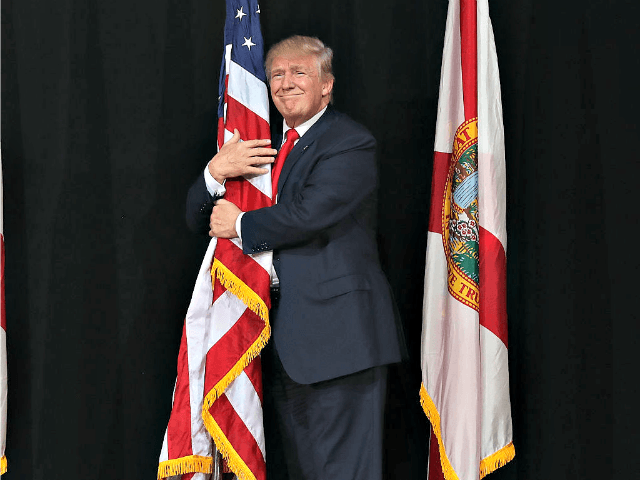 “Just imagine what our country could accomplish if we started working together as one people under one God, saluting one American flag,” he declared. 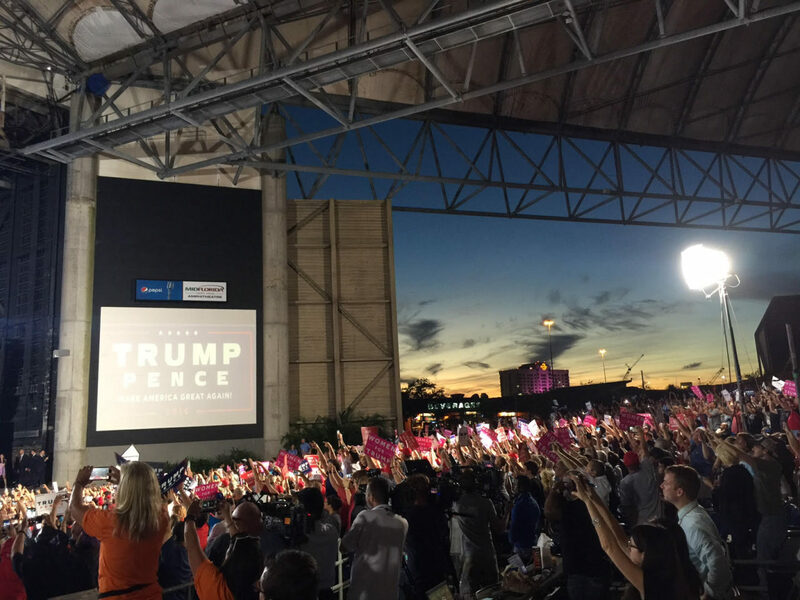 Trump’s impressive showing at the MidFlorida Amphitheatre is not a small feat. As Hillsborough County, FL — the home of Tampa — has gone in the previous four presidential elections, so has the presidency, with it going for George W. Bush in 2000 and 2004 and for Barack Obama in 2008 and 2012.